Tick tock, tick tock - time is running out for you to buy the perfect Christmas gift for him! Sure, the holidays are still over two months away, but the sooner you start shopping, the sooner you can relax and enjoy a well-deserved mince pie without rushing around the shops like a crazy person. Of course the hardest part about buying gifts isn't the actual purchasing, but rather deciding on what to buy in the first place. Socks and soap-on-a-rope are completely tired, while ties and briefcases cast a shadow of work over the holiday atmosphere. So what would be the best gift to give the special man in your life? How about the gift of time - more time to appreciate the finer things in life, that is. 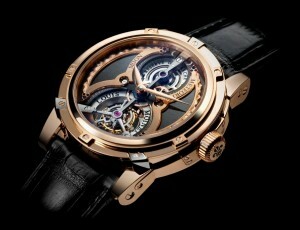 And the best way to do that - with one of the world's most expensive watches! 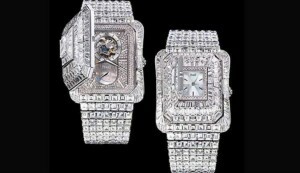 Why bother with an ordinary watch when you can have one studded with 3,000 diamonds instead? At least that's what this watch from Cartier promises, weighing 80 carats and featuring emeralds and a white gold setting too. And to make sure no-one mistakes this for a run-of-the-mill brand, it's fashioned into a unique phoenix shape as well. Definitely a talking-point at parties! 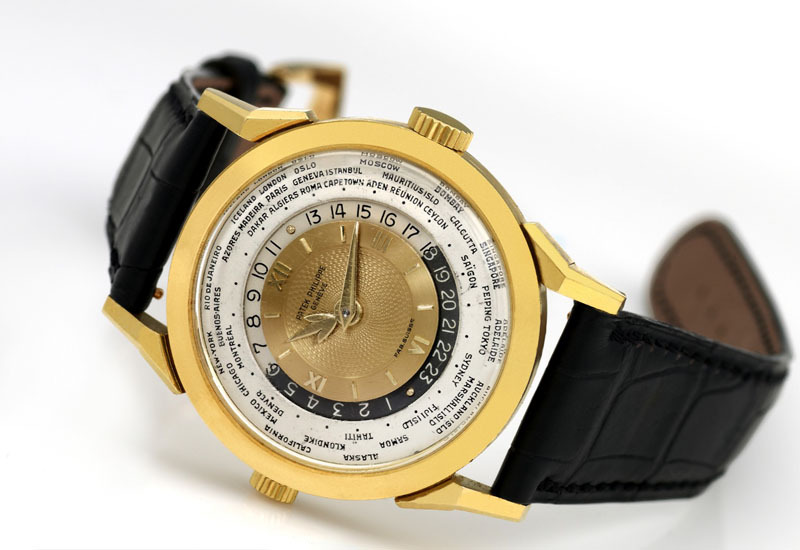 A one-of-a-kind watch for a one-of-a-kind man - that's exactly what the Patek Philippe Heures Universellespromises to be, and at $2.9 million, that's exactly what it delivers. With a complete map of North America featured on its face, a setting of 18-carat yellow gold, and enamel and polychrome elements, this most expensive of the Patek Philippe range is truly in a class of its own - just like the person you plan on giving it to. 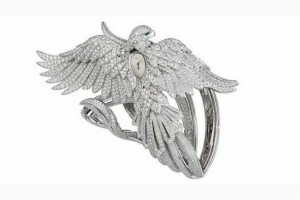 When Vanilla Ice wrote the song "Ice Ice Baby" we don't think he had the Piaget Emperador Temple in mind - but given the fact that it's adorned with more than 173 diamonds, he very well could have. With a choice of casing in either baguette-cut diamonds or pearl, this fully encrusted timepiece is more than a watch - it's a work of art. And a $3.3 million one at that. Here's a watch that's truly out of this world - the Louis Moinet Meteoris, a four-piece collection representing different aspects of the solar system. The astral connections don't stop there though, as each piece in the range is fashioned from actual meteorite fragments, as well as materials from asteroids and the moon as well. At $4.6 million for each watch, some might call the price astronomical - but we think it's more than worth paying for something that's not just unique, but a cosmological marvel as well! See anything you think the man in question would like? Then it's time to place your order - but not without buying a lotto ticket from GiantLottos.com first! Simply choose your lucky numbers for your favourite international lotto draw and who knows - Christmas could be coming early this year with millions in jackpot winnings!